Tis the season for hot cocoa, snow on the mountains, and helping kids in need! Recently one CHG Healthcare employee, Justin Mangum, decided to make a difference in his community for holidays. He submitted a grant request from the Making a Difference Foundation to help create a tree for the local “The Festival of Trees” event. 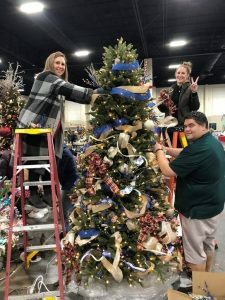 Every year individuals, corporations, and organizations create tree masterpieces that are auctioned off with proceeds benefiting Intermountain Primary Children’s Hospital. 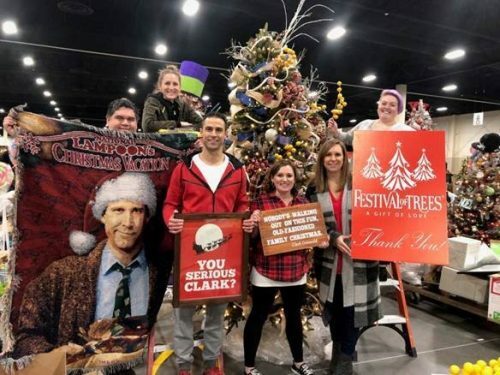 With grant money in hand, Justin and a group of employees worked together to create a National Lampoon Christmas Vacation themed tree. Not only was the tree breathtakingly beautiful, but they incorporated many humorous elements to bring the theme to life. The team had modest expectations, since it was their first year. They hoped that someone would purchase the tree for at least what they spent with the grant money. They were blown away when they learned that the tree had been auctioned off for $14,000! This was well beyond what they even dreamed possible. The Making a Difference Foundation was created on the belief that one person can create a ripple effect of positive change, but often they need just a little help. This amazing outcome was the direct result of what can happen when one individual’s passion for helping others receives some support to get started. The Foundation was thrilled to be able to offer their assistance. Together we found a way to make a big difference for these kids this holiday season!